This building is part pre-school, part residence. 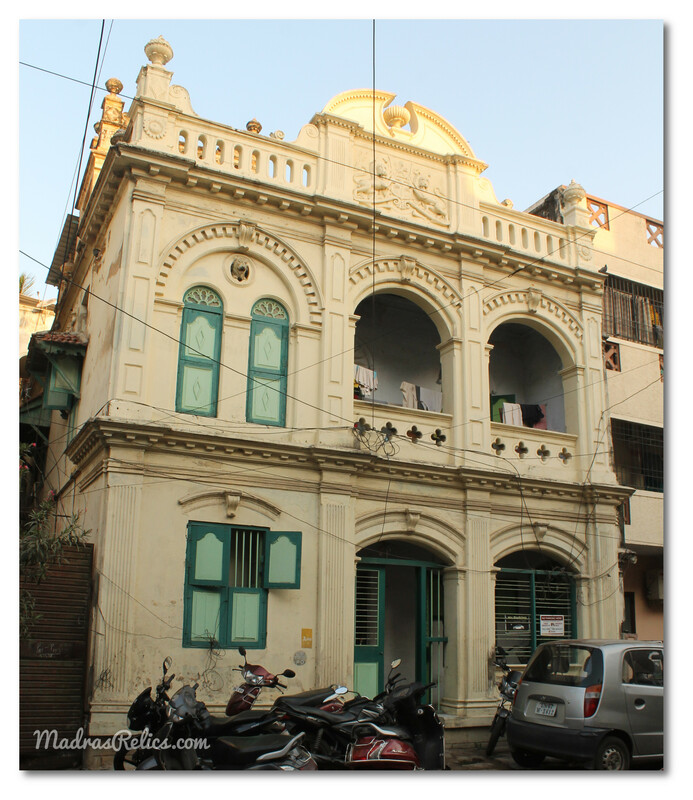 Observe the arches with crowns above the windows and verandahs. Also see the detailing on the cornice, relief of a lioness above the windows on the first level, and coat of arms on the summit of the elevation.